Those who are born between May 22nd and June 23rd might want to get a Gemini tattoo. The Gemini tattoo design represents the twin gods of Greek mythology, Artemis and Apollo. Like many of the other signs of the zodiac, Gemini has a number of exciting attributes which can be worked into their Gemini tattoo design. The primary element of a Gemini tattoo is usually the twins which can be represented in actual form or in the sign’s particular glyph. But other elements can also be added to the design which we will now explore. 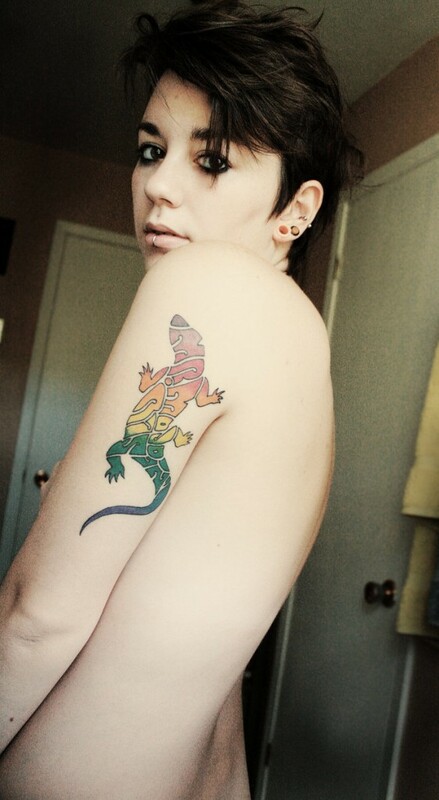 Many people decide to have the ruling planet of their sign incorporated into their Gemini tattoo design in some way. The ruling planet of the sign is Mercury and it can be placed within the design or as a rising planet against the backdrop of the design. Other elements that are unique to the sign and can be incorporated into a Gemini tattoo design include roses or orchids, agate gemstones, the number five or the element air. Other people completely ignore the glyphs and the symbols of this astrological sign and simply have “Gemini” tattooed in elaborate lettering. It all depends on the individual and what they feel fits into their personal style the best. Though this is a unisex tattoo design, both men and women can style it in their own unique ideas. 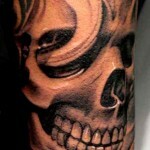 A tribal arm band with the Roman numeral II can be one of the cool Gemini tattoos for men. Women can have the numeral with either an orchid or the rose surrounding it to make the tattoo look more feminine and beautiful. As Gemini depicts duality, you can have designs of two women, angels, cupids, brothers, or any thing with a twin as a Gemini tattoo. The Roman numeral II can also be written in a variety of ways which can depict duality. Similarly women can have two roses or orchids drawn together to depict duality. One of the coolest ideas for a Gemini sign tattoo can be a name inscribed in the Gemini sign. It can either be your own name or of the person you want to get it for. A circle with two faces can also be one of the unique and different designs of Gemini tattoos. Gemini is an air sign so, if you want to make your tattoo look trendy and hot, you can have the Gemini sign in the center along with breeze in the background. The number 5 is also associated with this zodiac sign. You can have a tribal tattoo in the background with the number 5 in the center along with either a rose, orchid or marigold in different colors. You can have this as a large back tattoo as it will look majestic and fascinating. The various locations you can get your Gemini tattoos are, the back, lower back, neck, back of the neck, arm, wrist, shoulder, legs and feet. 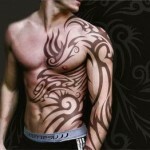 If your tattoo is on your back or arm you can prefer to have a large sized tattoo design. If your getting it on your neck, wrist, feet or lower back you can have small tattoo designs with Roman numeral as they are easier to make and also look elegant. You can mix and match a lot of designs in these Gemini tattoos as there is a variety to choose from. I hope this article has helped you to think about some creative ways to get a Gemini tattoo. So, before you get your Gemini tattoo, do a little homework to come up with your own unique tattoo design.